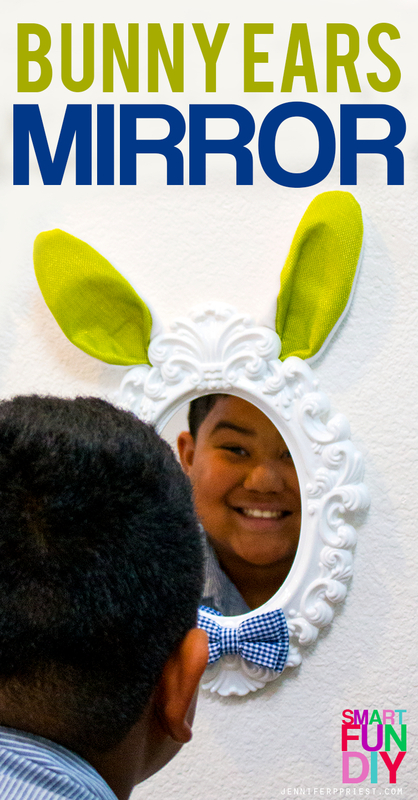 Easter Bunny Ears Mirror - Easter Decor for Under $7 with the 99! 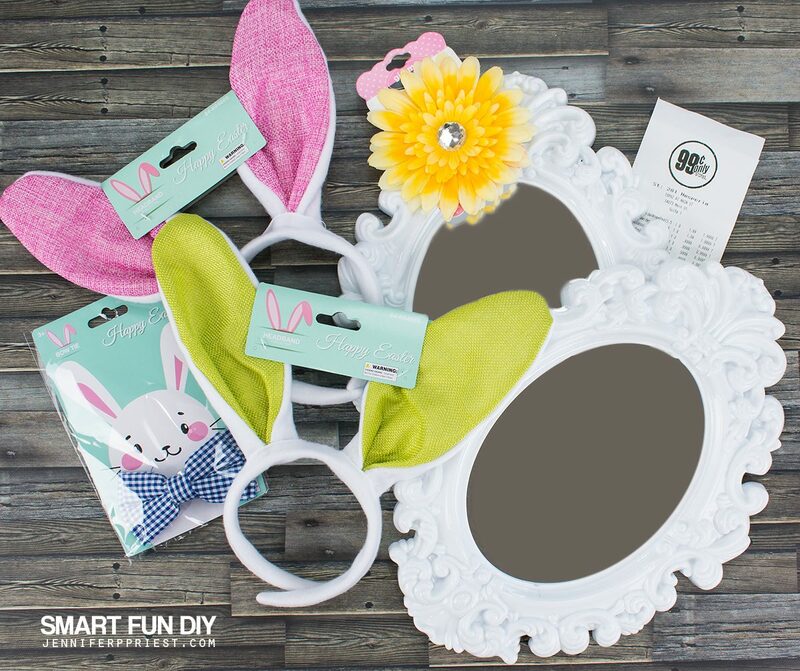 You are here: Home / DIY + Crafts / Easter Bunny Ears Mirror – Easter Decor for Under $7 with the 99! 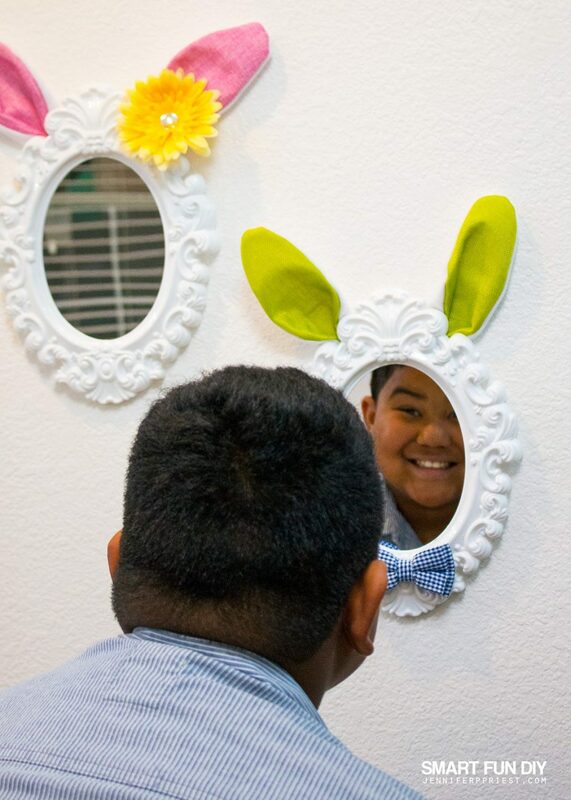 Easter Bunny Ears Mirror – Easter Decor for Under $7 with the 99! The Easter Bunny will be here soon! I love crafts that are useful beyond looking cute so when it comes time to decorate for Easter, there's no exception in my home. With just a few items totaling under $7 from 99 Cents Only Store I created a pair of cute girl and boy Easter Bunny ears mirrors to decorate our home's entryway. The kids can check their hair on the way out the door and catch a glimpse of the Easter Bunny too. 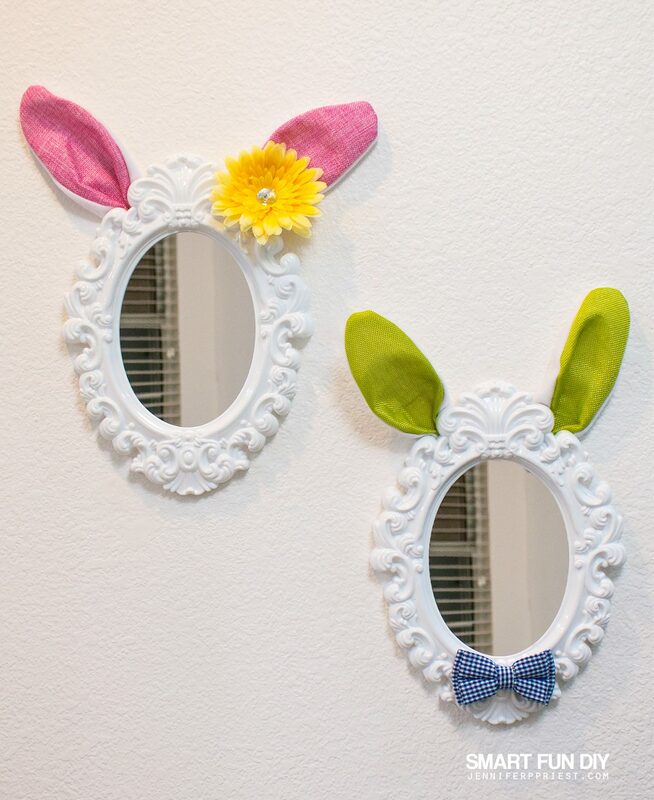 When spring is over, pull off the ears, flower, and bow tie and repurpose these decorative wall mirrors for another holiday or use them as-is. And best of all, each item is just 99 cents! 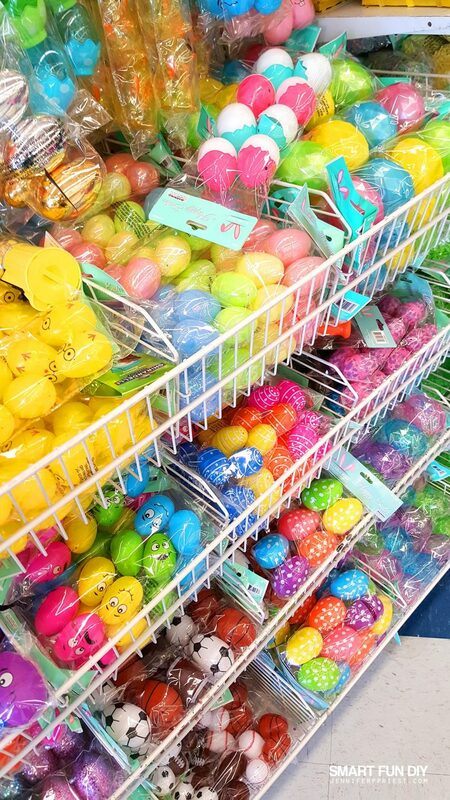 99 Cents Only Store is the place to go for quick and easy decor, Easter basket ideas, and even fresh produce for Easter dinner! Last week I stocked my whole pantry with delicious, paleo-friendly spaghetti squash for just 99 cents each. Pretty much every week and especially around holidays, we stop in to The 99 to see what's new. It's like a crafting motherlode that changes every week! The 99 is truly a one stop shop for all of your Easter needs while helping you be creative and budget-friendly on the regular. Planning a party? The 99 has you covered! 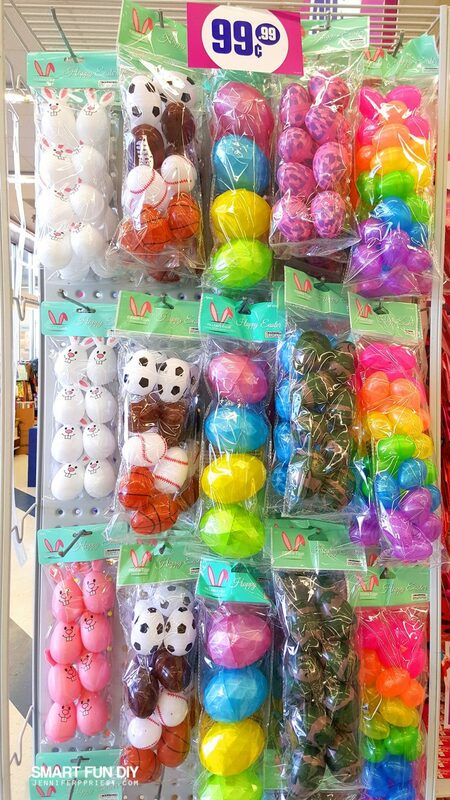 Plus, check out all these plastic egg options! I remember as a kid, doing Easter egg hunts in my abuela's bermuda grass and roses. Doesn't every Mexican grandma have a rose garden?! The eggs these days make the hunts even more fun but you can bring back the traditions with dip dye egg kits at The 99 too. My abuela was always budget conscious but wanted the family to have an enjoyable time. We got dressed to the nines in fancy Easter dresses, got our hair up in braids, and had to look “fancy” as the whole family gathered for Easter ham, conversation, and to mariachi music. And of course, you've got to ready for church and Easter Mass. When I saw these ornate, oval mirrors at The 99, they reminded me of my grandma's style and our Easter traditions. It's like a little tribute to her to have these in our home for Easter! Holiday decor can be practical, affordable, and adorable all at the same time! Your abuela would totally approve! I spotted these decorative wall mirrors after looking at the Easter display in the middle of the 99 when we first went inside the store. As soon as I saw them, I rushed back over to the display where the Easter Bunny ear headbands were and snagged 5 colors of headbands. 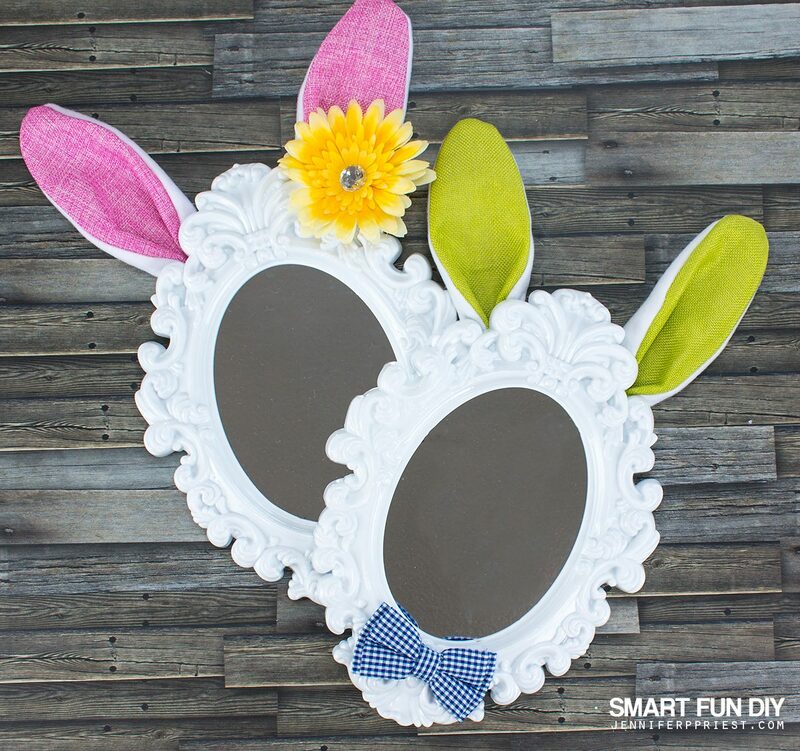 Wouldn't a bunch of these Easter Bunny ears mirrors be cute hanging over an egg coloring station?! And with the prices at The 99, it would be a super affordable project. My grandma used to make simple crafts like this – she could make them between watching the kids and preparing meals and she could feel good about creating something for her home. Since we aren't hosting Easter at our house this year, I decided to keep it simple with a pair of mirrors, one for my girl and one for my boy. You can make a mirror for each of your kids using the different colored ears at The 99. Hang the mirrors on the wall to match each of your kid's heights so they know which mirror belongs to them. And at just $3 per project, this DIY is easy on the pocketbook *wink wink* Then they can also check out themselves in the mirror before heading off to church! 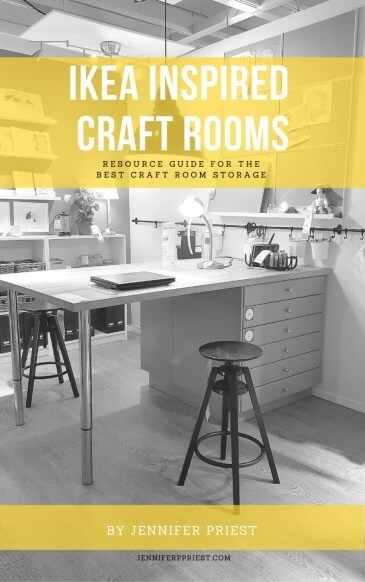 You'll also need scissors and a hot glue gun. Watch this quick video to see how to put it all together, lickety split! Get the kids in action and have them help choose the colors for their ears and bow tie or flower. Then, make these together! Mom, you'll need to operate the glue gun but the kids can do the rest. What do you think?! What are your Easter plans? Let me know in the comments … I bet you can 99 that!